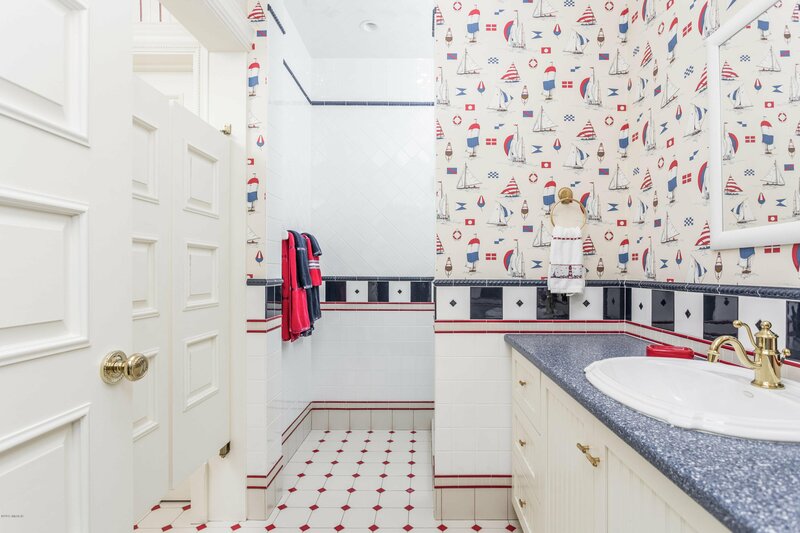 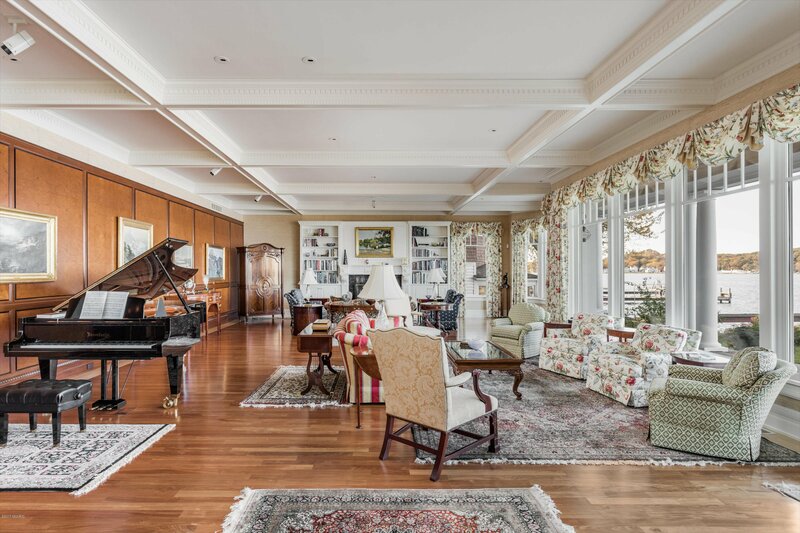 Find dignified flare at this art collector's dream home built decades ahead of its time by Mike Schaap Builders. 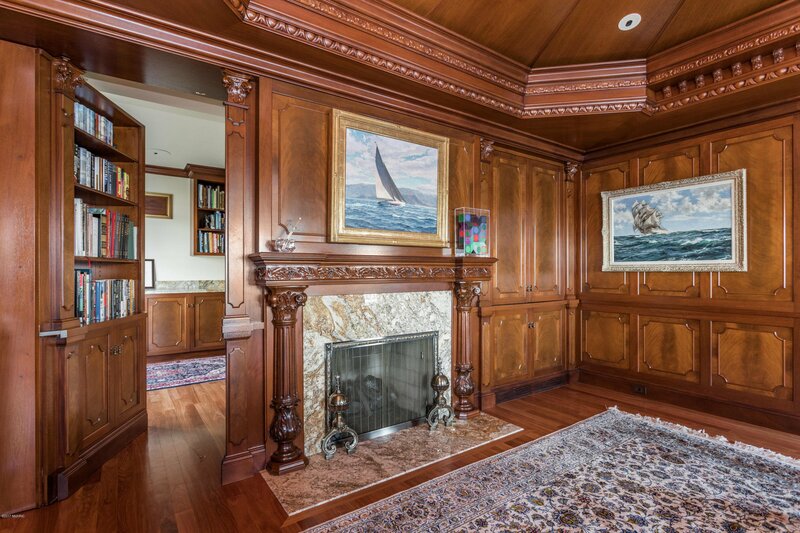 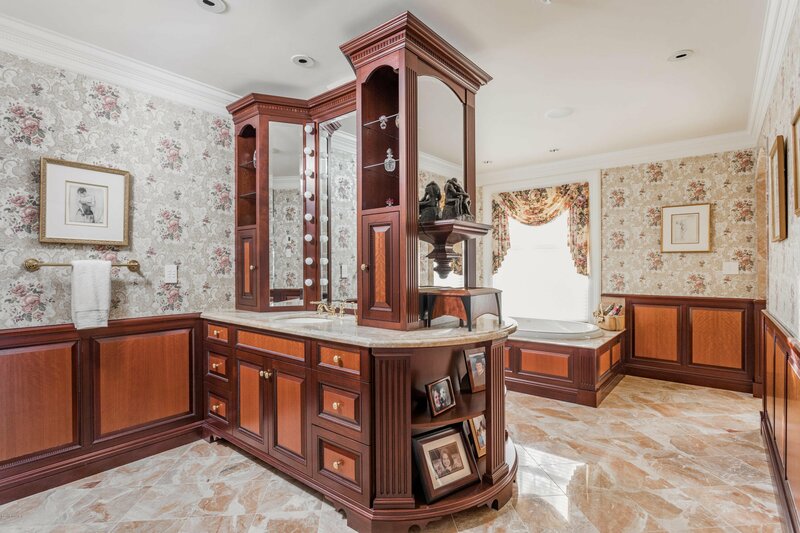 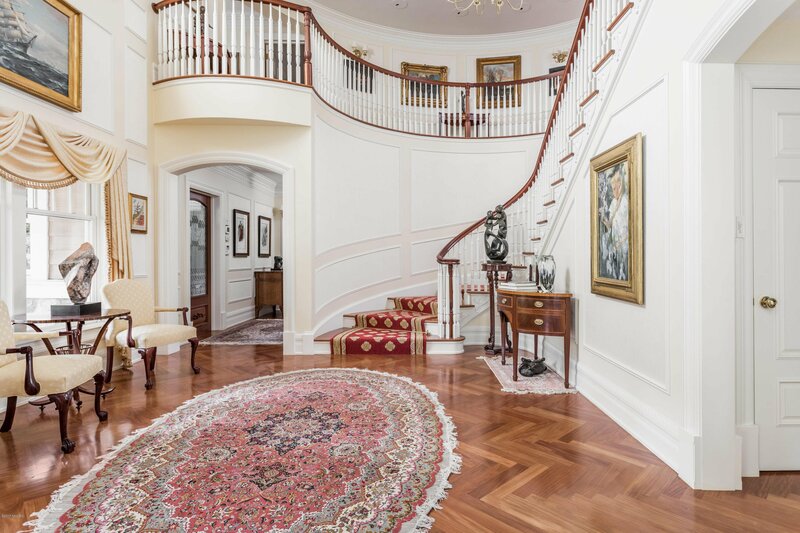 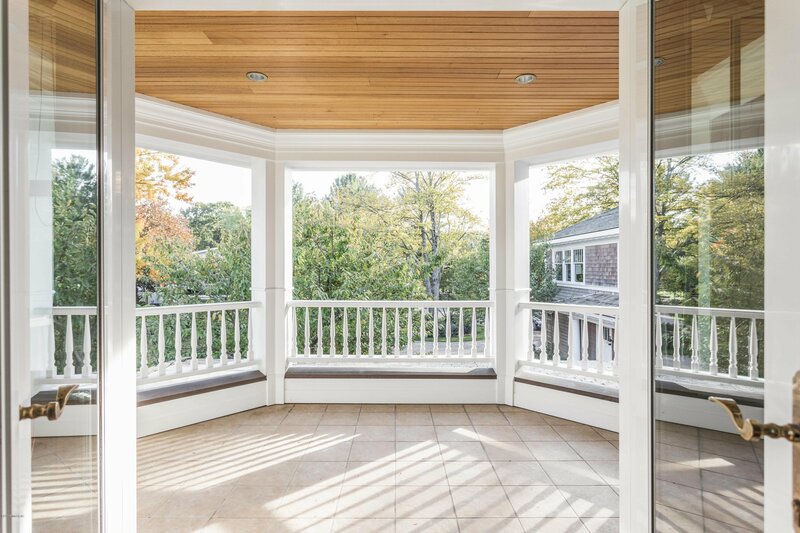 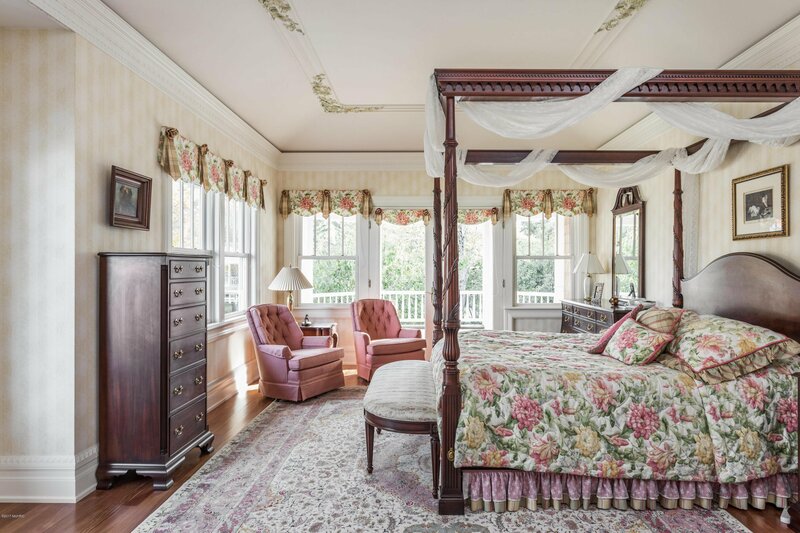 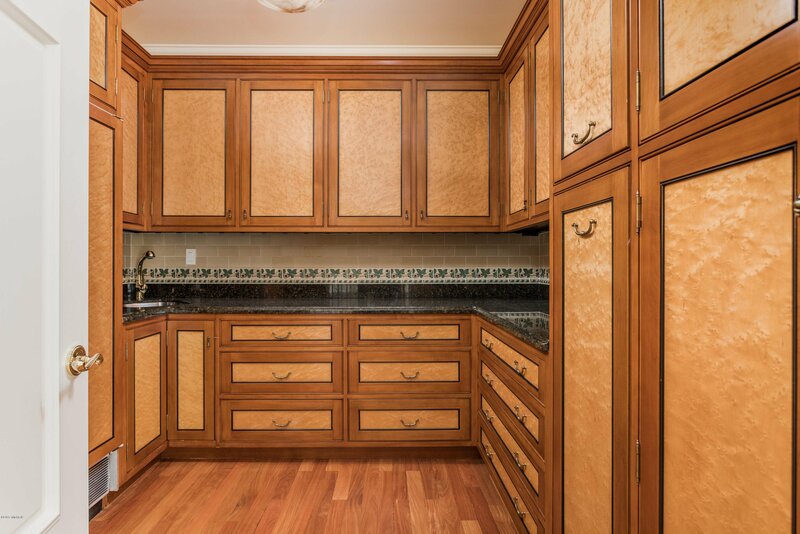 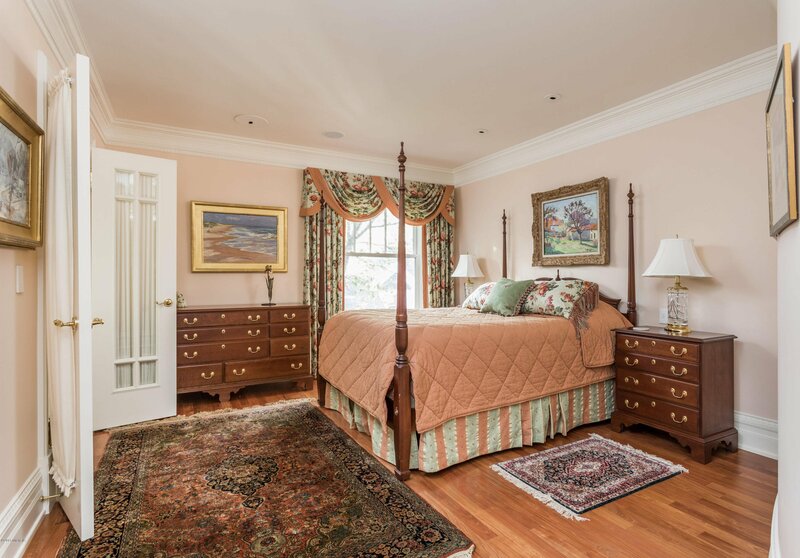 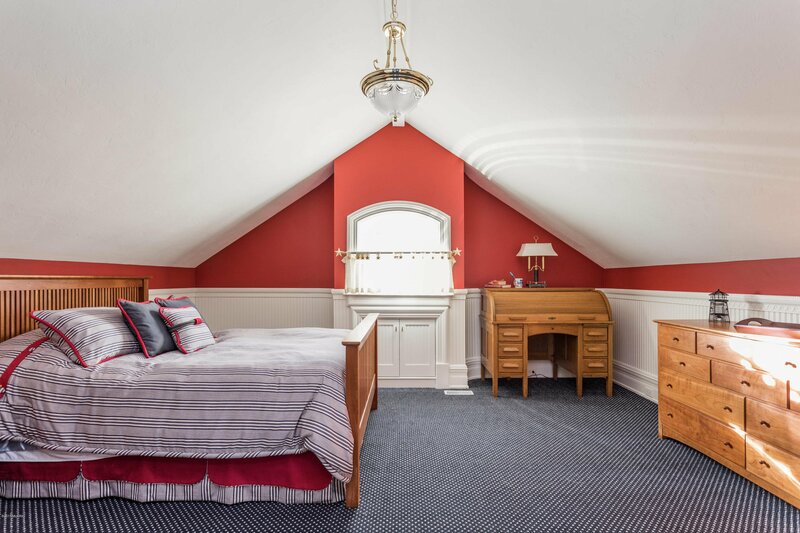 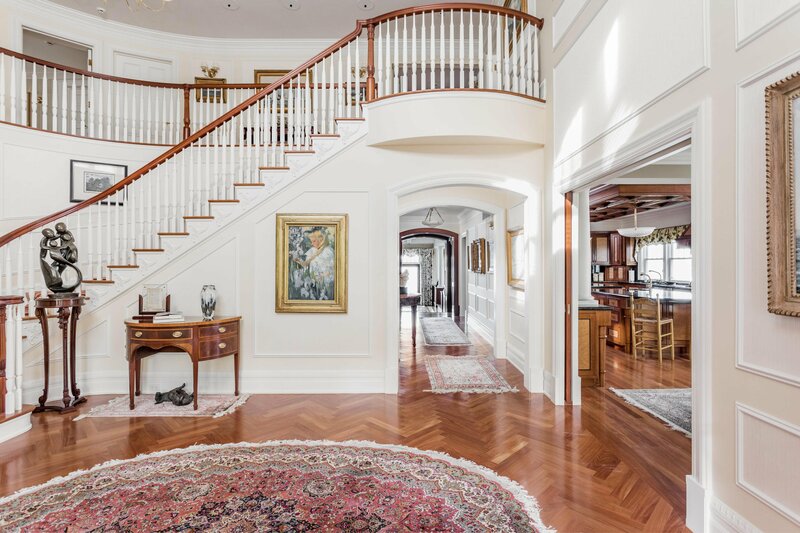 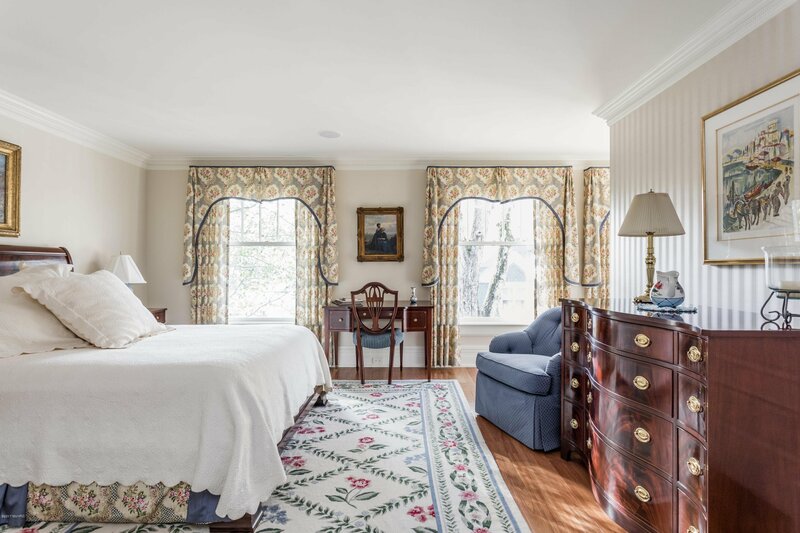 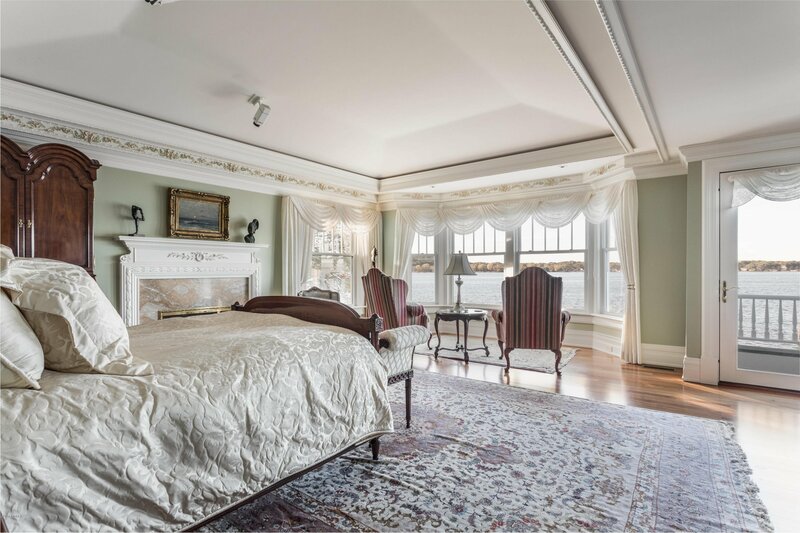 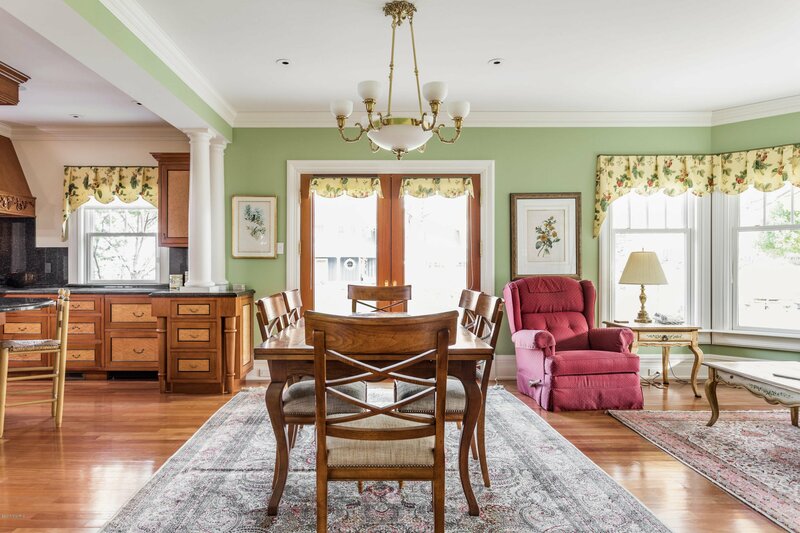 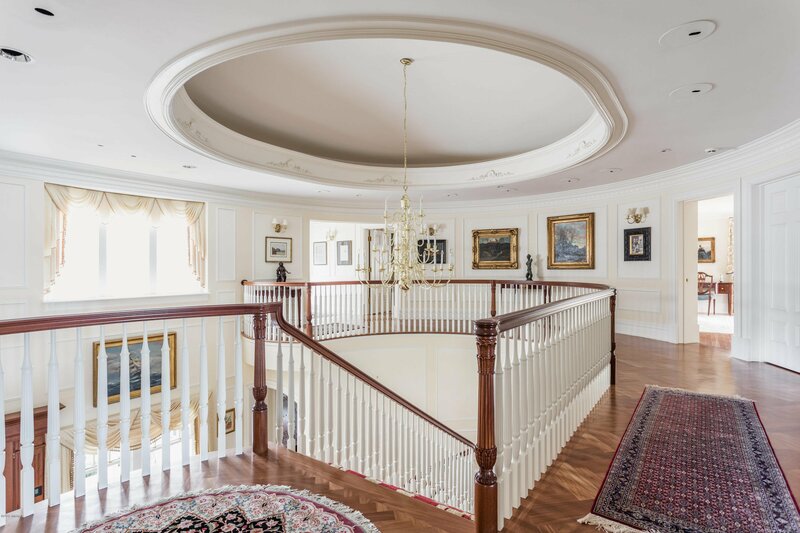 The estate is a work of art in itself, with regal trim work and rich Brazilian Mahogany flooring. 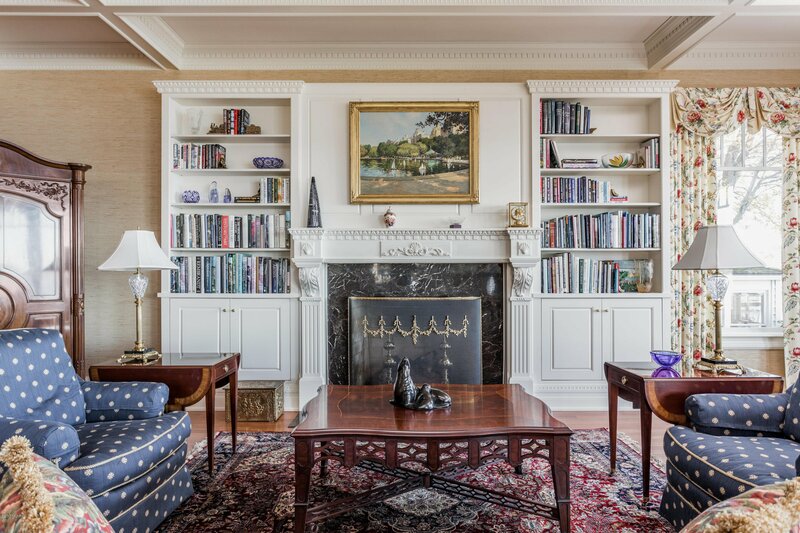 Display your finest art pieces with speciality lighting throughout, as guests marvel at your coveted collection. 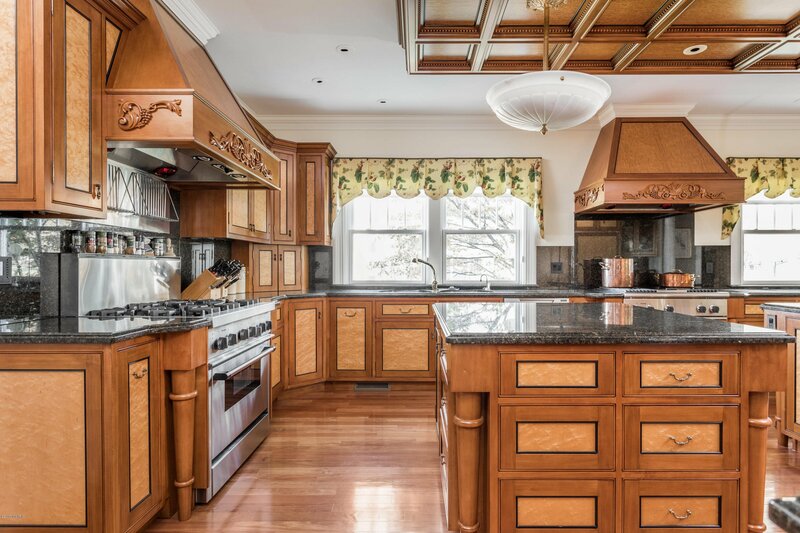 Breach into culinary expression in the chef's kitchen, complete with Thermador range, cooktop, and warming drawers, SubZero refrigerator and freezer, Fisher & Paykel dish drawers, and Gaggenau multi-function ovens. 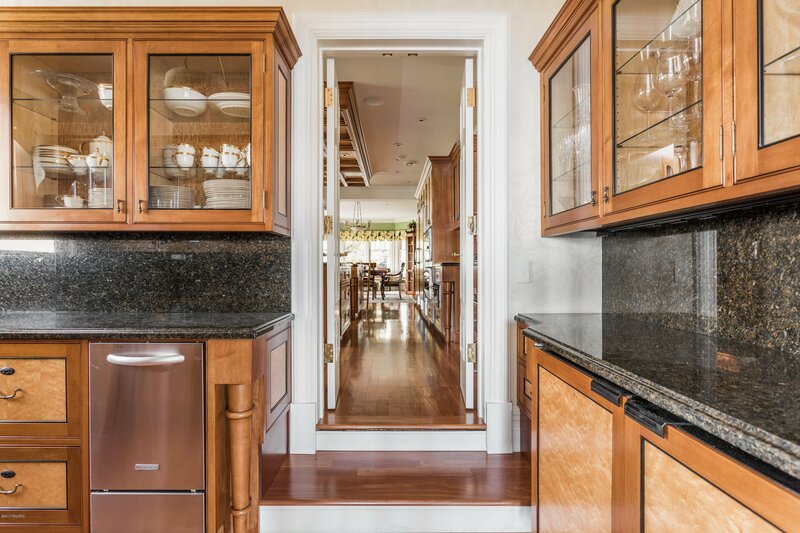 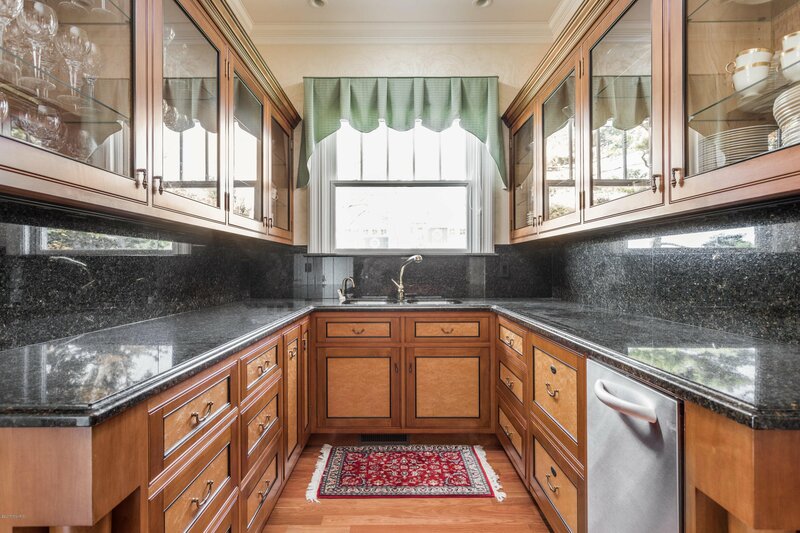 The connected butler's pantry boasts Marvel wine coolers, dish drawers, and ice maker for the ultimate in entertaining. 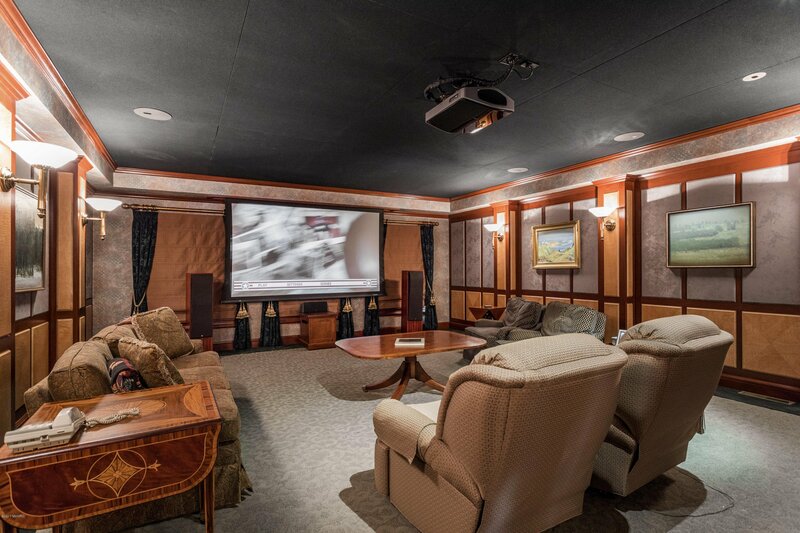 Relax while watching a movie without distraction in the theater room. 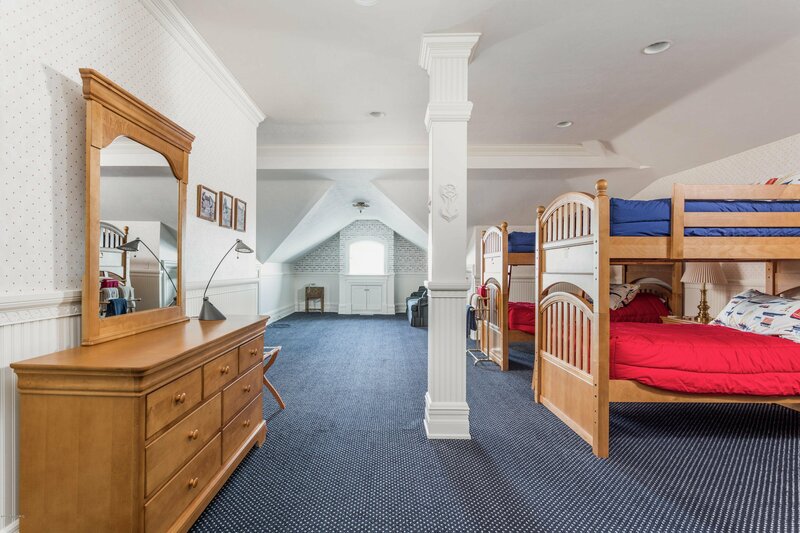 Grab a snack from the butler's conveniently placed near the theater, then enter into pure cinematic bliss in the fully acoustically-treated room, with sound absorbing material lining the walls and ceiling, keeping the sound in the room and no where else. 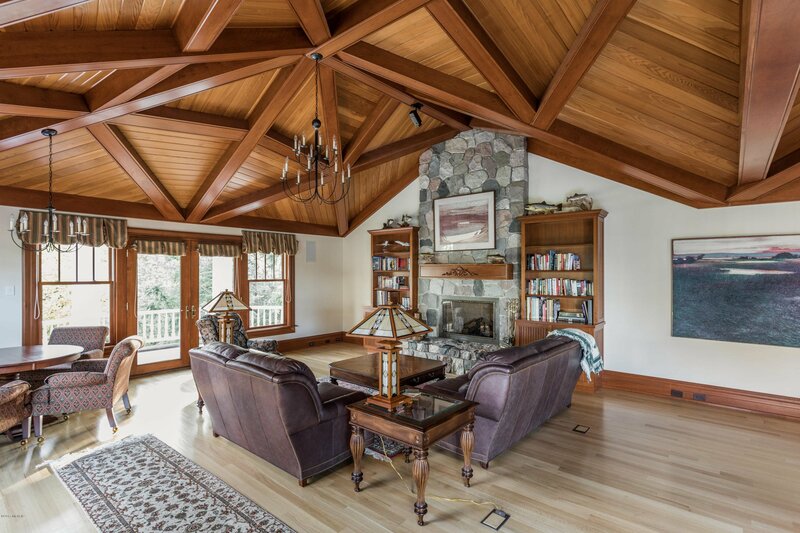 Gather for game night in the activity room while the fireplace roars. 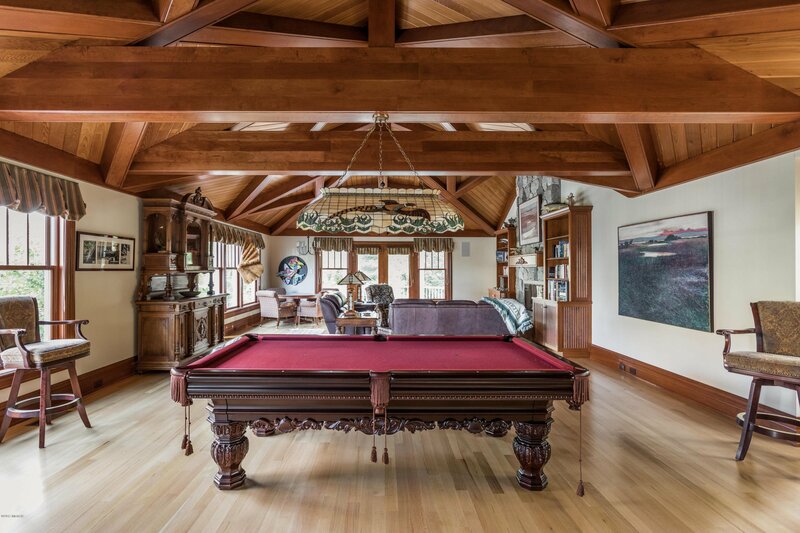 Be it billiards or a board game, the grand surroundings create a comfortable atmosphere with Red Oak floors and Cedar ceiling with exposed Cherry beams. 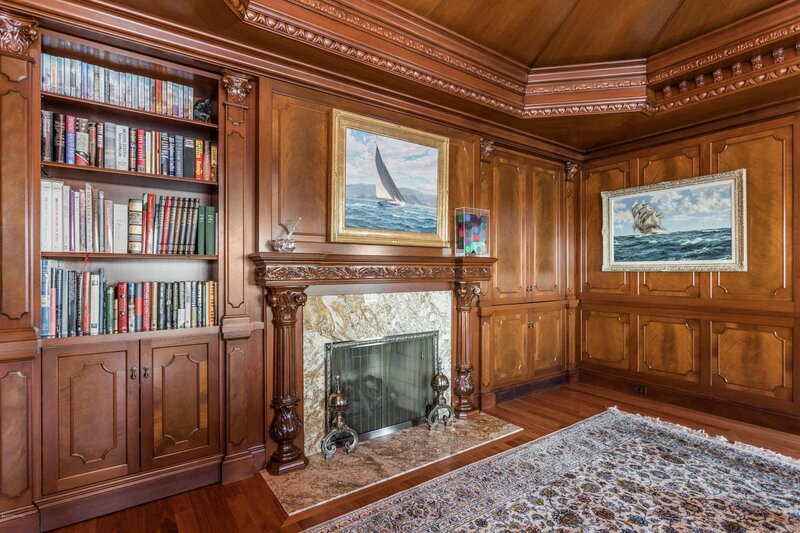 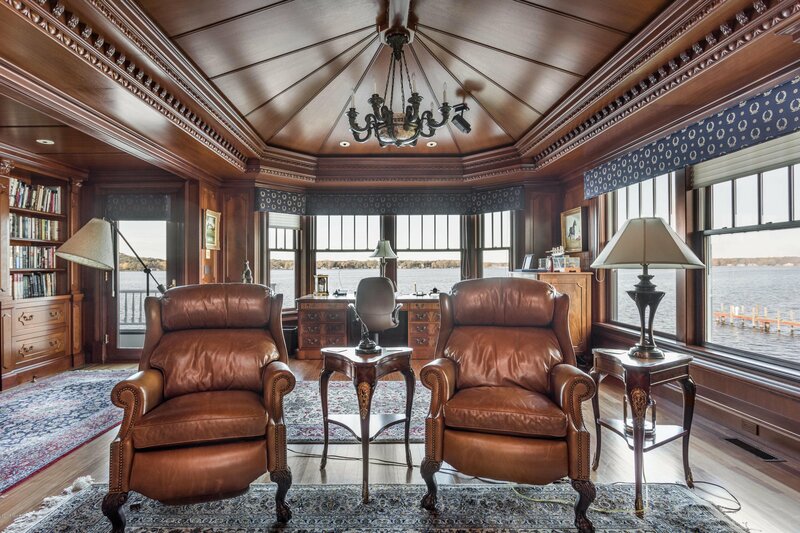 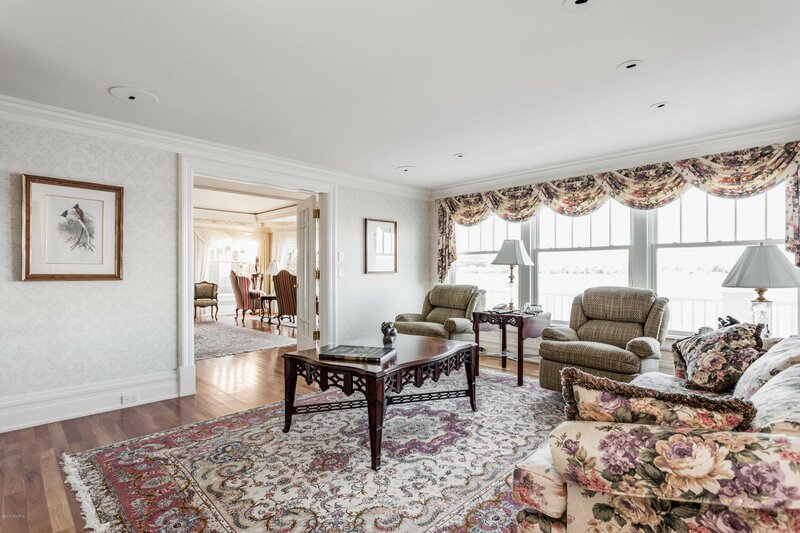 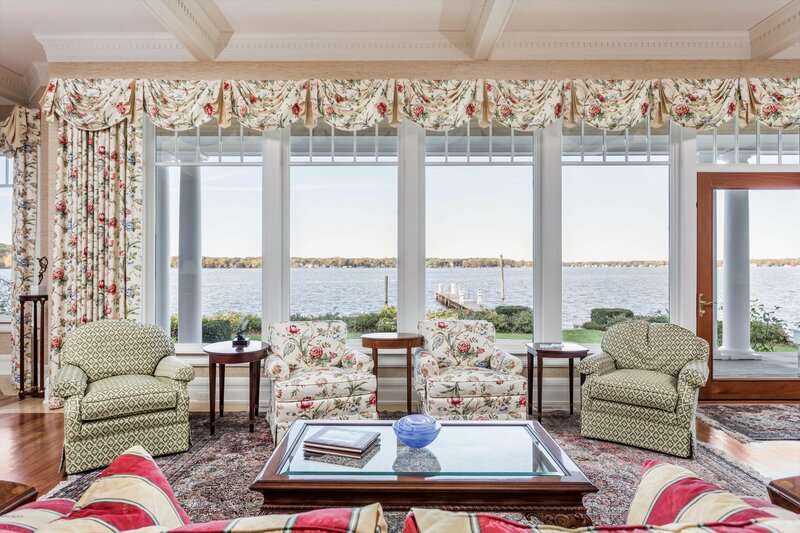 Gaze out onto Lake Macatawa's calming waters from the private study. 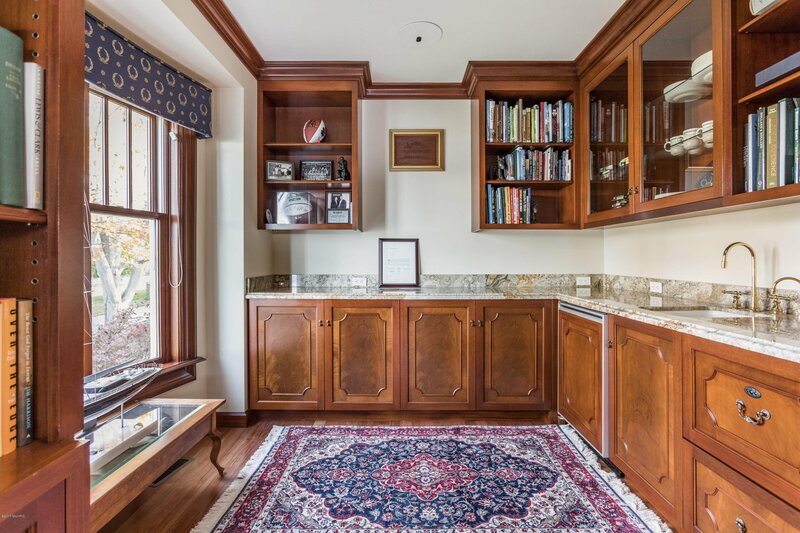 Tuck your favorite reads away in the floor to ceiling shelving. 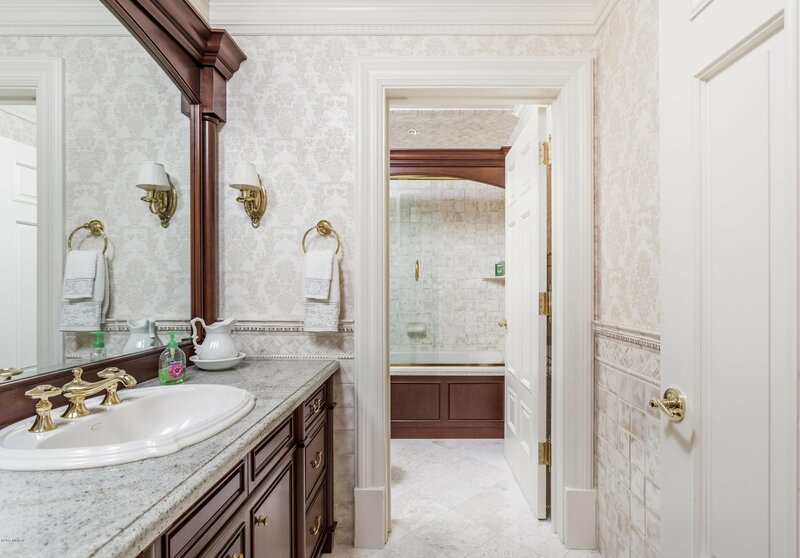 With the right push, reveal the hidden anteroom, ideal for keepsakes and private collectables. 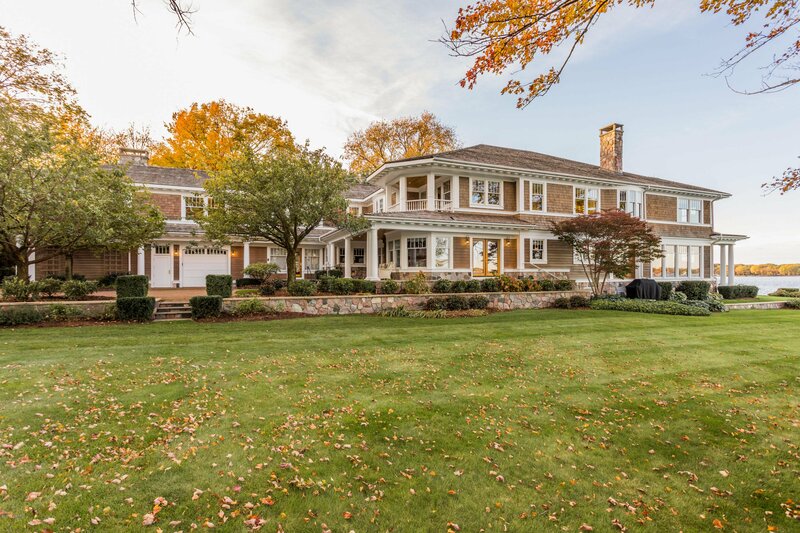 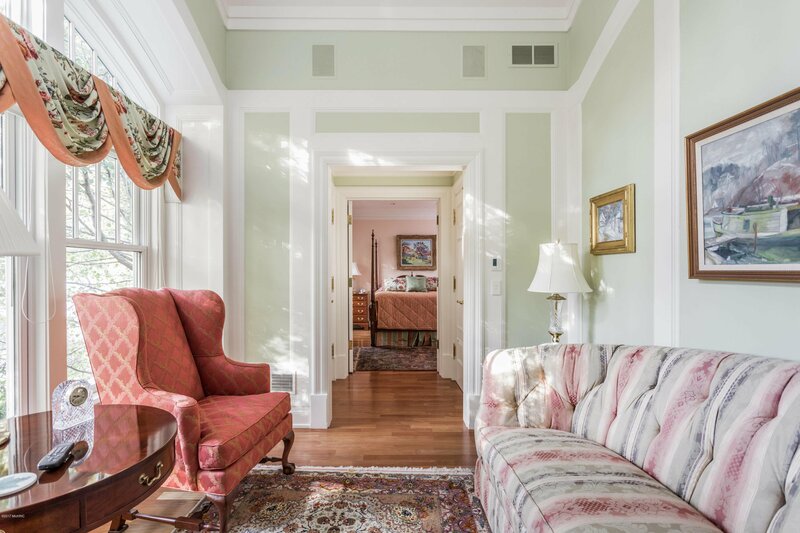 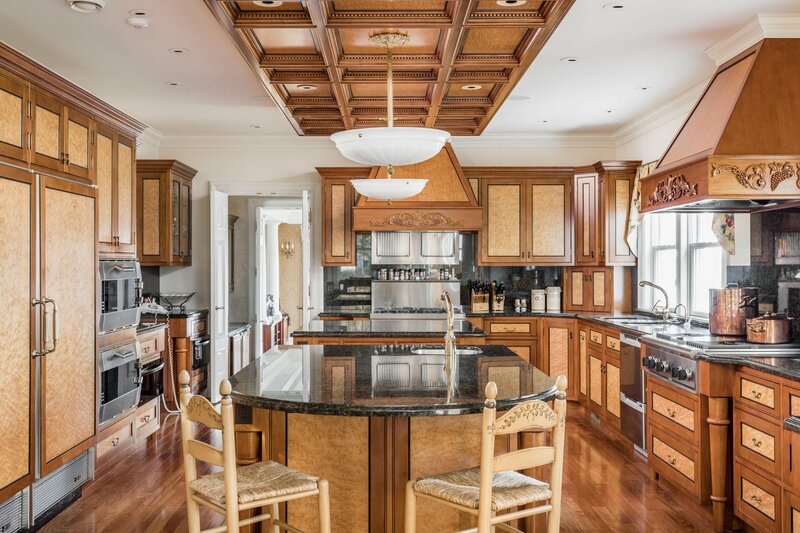 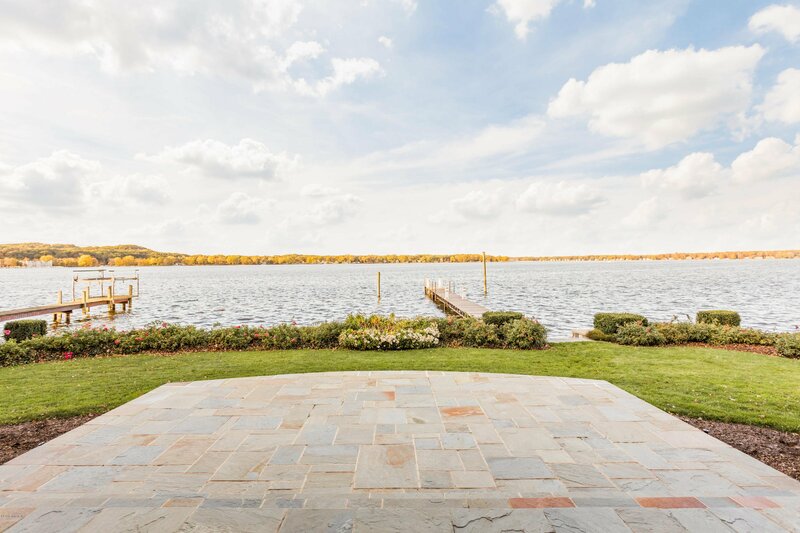 The home breathes art itself as it transcends the natural landscape around it, on 80' of Lake Macatawa's captivating shoreline, an all-sports lake connected to the crystal blue waters of Lake Michigan. 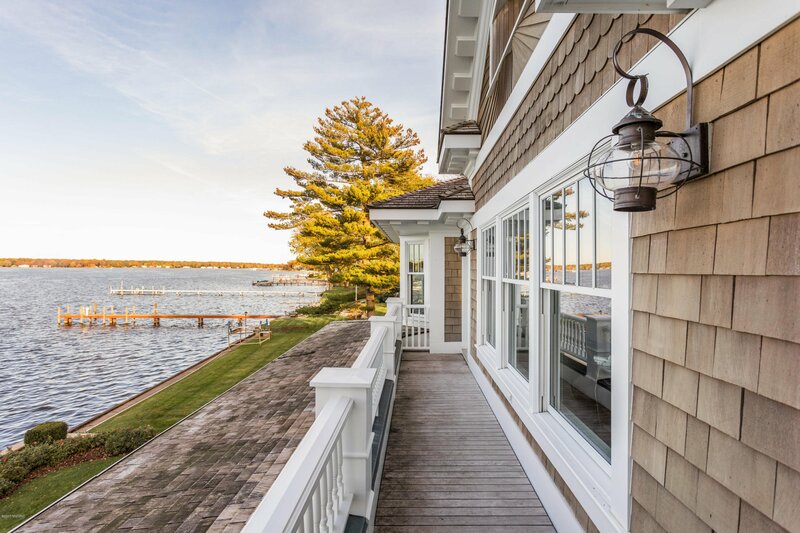 End your day embarking from your deep water dock onto your yacht for a sunset cruise, admiring the incomparable hues on the horizon.